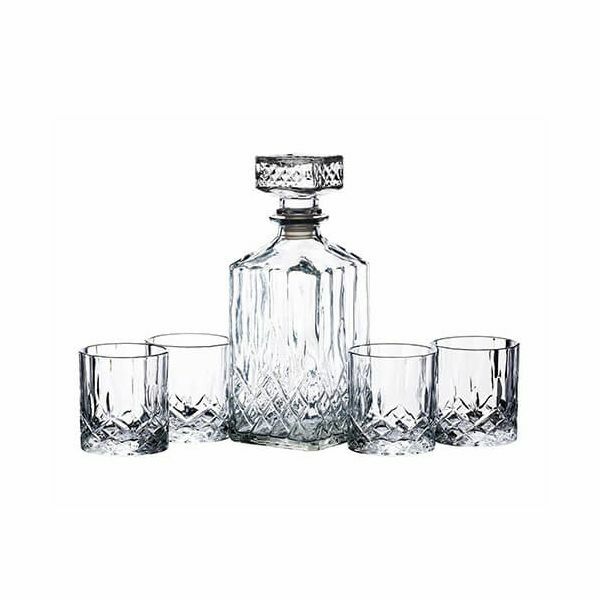 This 5 piece Decanter set includes a cut glass Decanter and four matching Tumblers. The Decanter itself holds 900ml and has a silicone seal which prevents spoiling of the spirits contained. 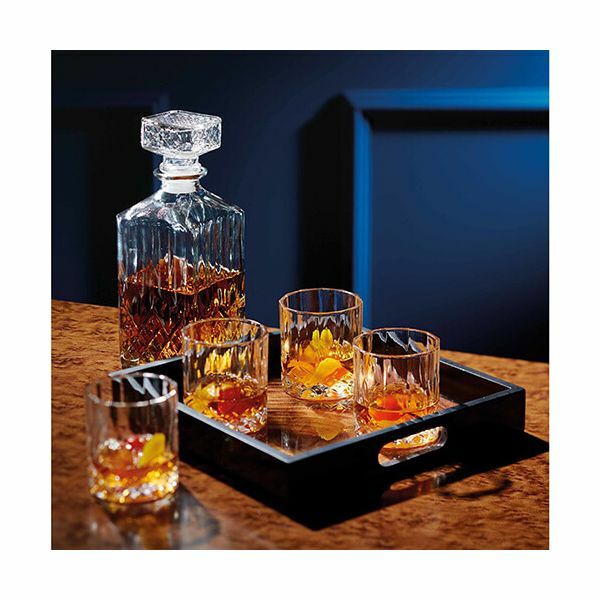 Each of the Tumblers are made from high quality glass with traditional detailing and have a 200ml capacity. 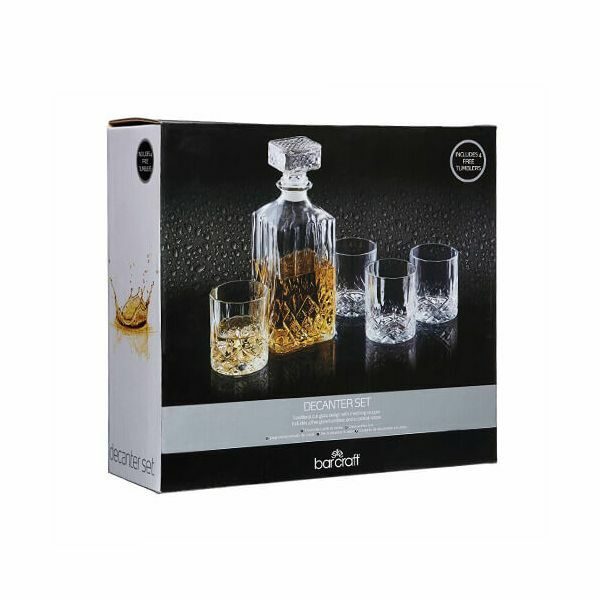 Complete with a 12 month guarantee, this Decanter Set is presented in a gift box. Great product, great value and arrived very quickly.